Hello fellow Microsoft UC enthusiasts! This post is my first official blog post on my new O365-based blog for all things Microsoft UC (though it will be primarily focused on Lync and Skype for Business). 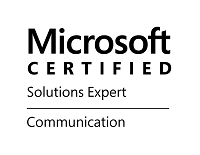 While trying to decide on the topic that I should write about for my maiden voyage post, I came to the conclusion that the most fitting topic for a first post would be a discussion on the certification process for the Microsoft Certified Solutions Expert (MCSE): Communications certification. As I am in the process of obtaining this cert (half-way there), I will discuss my personal experiences thus far, what has helped me prepare for exams, and what the road ahead looks like. 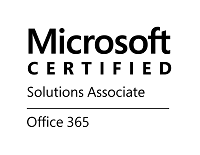 For those that are not aware, the MCSE: Communications cert ​is the professional-level certification that Microsoft offers to distinguish an individual that is ​proven in their knowledge and abilities in regards to Lync Server 2013. Many organizations that are looking to hire for Lync Engineers or senior Lync positions often would like to see this certification on your resume. The official page for this certification ​​​is here, and it very simply outlines the exams that are required to earn the certification, as well as courses and other optional training that will help prepare you.. The first two exams that are listed, 70-346 and 70-347, are more specific to ​setting up and managing various services within Office 365. The last two exams, however, are actually specific to Lync Server 2013: 70-336 and 70-337. As my role is currently a Lync Engineer, I started with 70-336 and 70-337, and will be following up with 70-346 and 70-347. While the website does not make mention of it, the MCITP: Enterprise Administrator is also qualified, and I know this because that is what I currently possess, and had to look deeper into it. Essentially, if you have one of the above certifications already, you can take 70-417, "Upgrading Your Skills to MCSA Windows Server 2012​" in place of the O365 exams. While this may be a tempting route to go because it is one exam versus two, Microsoft does not really treat 70-417 like one exam in terms of the exam structure or the material needed to study. The exam actually is being taken in place of 70-410, 70-411, and 70-412, and the study recommendations and guides pretty much mirror all three of those tests, except that they get combined onto one test. If you do the math, that is a LOT of preparation and studying for the one exam, whereas taking 70-346 and 70-347 individually will be a much a much lighter load for each test. Personally, I was going to go down the 70-417 road at first, but after doing the above analysis, I decided it would be not only easier to go the O365 exam route, but learning all the ins-and-outs about O365 would actually be HUGELY beneficial as a Lync Engineer. Let's face it, more and more customers are moving into the cloud, or opting for hybrid environments, and being able to intelligently discuss those options with a customer, in addition to the usual On-Prem options, will be incredibly valueable in the future. Now, as I mentioned, I have already completed 70-336 and 70-337. Ok, I take that back, I did not mention that; I merely stated that I started with them, so to clarify, I did indeed pass them. Ok, I'll be honest, I passed 70-336 on the second try! At any rate, these exams are particularly difficult to prepare for, because as you will find, there are far fewer study guides in existence for them, and there are precisely ZERO practice exams in existence. Nope, not even from Transcender or MeasureUp. Super helpful, right? No need to despair, though. While the preparation options are fewer for these exams, there are still some good options. Of course, there is always the Microsoft Official Courses for each exam, though it is not always easy to convince the boss to send you to training for a couple grand a pop, and who wants to shell out that money on their own? Not this guy! There are two main resources that I used, and they were immensely helpful and educational in relation to these exams. The second tool I used a handy book called "Microsoft Lync Server 2013 Unleashed" by Alex Lewis, Tom Pacyk, David Ross, and Randy Wintle. Some tech books can be very dry and difficult to read, and despite that fact that the book is still a very technical book, I found it to be an easy read. It explained things very well, while still digging pretty deep into various topics. I would venture to say that there probably wasn't much on the exams at all, if anything, that was not covered in this book. For roughly $35 new on Amazon, it was totally worth the money: http://www.amazon.com/Microsoft-Lync-Server-2013-Unleashed/dp/0672336154/ref=sr_1_1?ie=UTF8&qid=1428096680&sr=8-1&keywords=microsoft+lync+server+2013+unleashed. Well, I realize this has been kind of a long post, but I am thrilled to be launching this blog, and I can't wait to start digging into some more technical topics very soon! I will also be following up on this post as I make progress through 70-346 and 70-347.